You are not a funeral home. You are a media company that sells funeral services. This may seem exaggerated, but its intended to drive home the idea that people online are turned off by advertisements and on by useful content. If you can provide useful tools, information, and resources for people then you gain their trust. In an industry built on trust, it goes without saying that this strategy can be insanely valuable for funeral homes. On your blog, you can educate your customers on the importance of pre-planning, services, insurance, estate planning, wills, and more. You can deliver the content on Facebook and Instagram (organic or paid) and via email. When the decision is made to plan a funeral or organize pre-need options you will be the funeral director they choose to help them. An important part of having on online presence is making sure people can find you. Search engine optimization (SEO) is an easy way for funeral homes to get their services in front of families in need. For most funeral homes that are located outside of densely populated urban areas ranking high on Google is easy. We give you all the tools you need to be successful in SEO in our free 4-week funeral marketing eCourse. Sign up below! Want to learn simple tips to beat your competitors on Google? Click to sign up for our FREE Marketing eCourse. 30 years ago, your families first impression was your physical funeral home - today it's your website. Having a well-designed website with a quality user experience is the physical-world equivalent of wearing your best suite and presenting to a family in an arrangement room that makes them feel comforted and confident. There are hundreds of thousands of Google searches for funeral homes in the U.S. each month which means customers are checking for the most trusted-feeling website in each community before picking up the phone. We recommend having your site designed by an industry development company like FuneralOne or hiring a local designer to give your funeral home a personalized facelift. 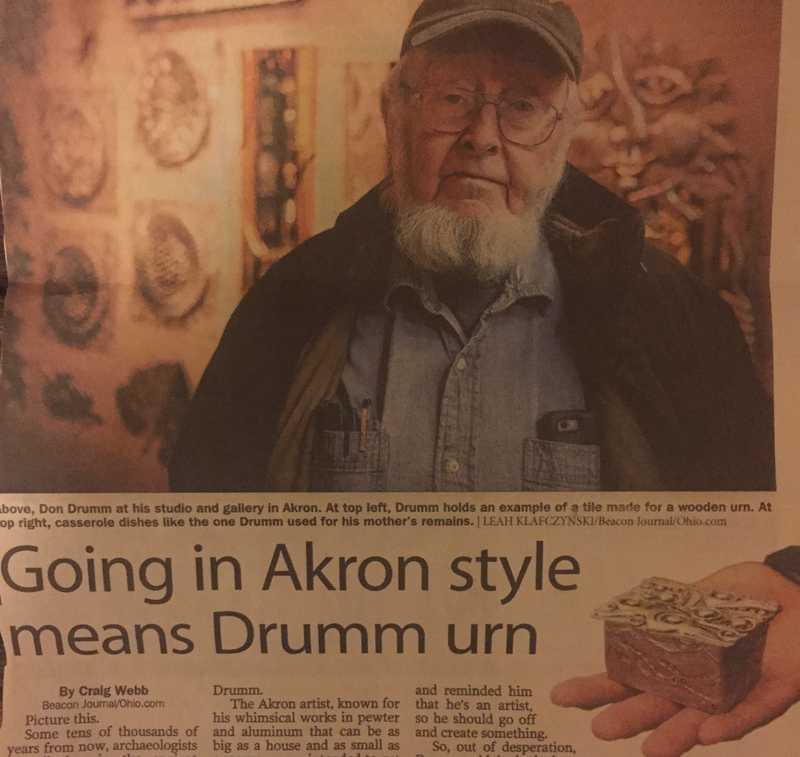 Featuring locally-made artisan urns in your memorial product showroom is a great way to increase revenue and get free press. Families want highly personalized memorials for the people and pets they loved and a one-of-a-kind piece by an artist they admire is often the perfect solution. The press will love the story of a local artist making deeply meaningful pieces for people in your community and your partnership with them will be highlighted and rewarded. In our funeral home marketing eCourse, we've included a step-by-step guide to selling artist-made pieces in your funeral home. Click to sign up for our FREE Funeral Home Marketing eCourse delivered via email. Some things in the Digital Age have stayed exactly the same as in the past. We still weigh heavily on the personal reviews of others to make our buying decisions. In fact. 75% of people report trusting online reviews as much as personal recommendations. This fact means that encouraging reviews should be a core component of your funeral home marketing strategy and you should respond to them online - both positive and negative. To learn more about how to manage online reviews for funeral homes read our article on Connecting Directors here. As the funeral industry landscape continues to change as a result of factors like e-commerce, cremation, and foreign imports, the brand of the quintessential funeral home is changing too. The industry is experimenting with new ways to generate revenue and, with each success, filling a small part of the growing hole in profits. Some funeral home’s, like Serenity Funeral Chapel in Twin Falls, ID, have found a brilliant new revenue stream in redesigning the funeral home experience to look more like an event venue, some even selling alcohol. This new model keeps customers who would have typically dropped thousands of dollars elsewhere, staying in-house. Transforming your space and experience to fit modern memorialization trends has immense word-of-mouth marketing potential as well - everyone will be telling their neighbor about the amazing experience they had at your funeral home. If you want to start to make the move, we recommend applying for a liquor license now because they can take years to obtain. To learn more, read this story about Serenity Funeral Chapel who has been gradually making the shift to look like an event center. At the core of Facebook advertising is their insanely sophisticated demographic targeting tools. I am going to guess that your primary pre-need clients are college-educated married women between the ages of 40-60 within a 30-mile radius of your business. Am I right? Facebook Ads allow you to put your brand and call-to-action in front of 90% of those people in our community in 1 week’s time for far less money than you spend on an entire year of newspaper ads which never got close to that kind of reach. Additionally, Facebook ads offer one-click actions making collecting new customer leads simple. Positive reviews of funeral homes are often heartfelt and emotional expressing a level of gratitude rarely seem in other industries. This makes them perfect for engagement on social media. Sharing designed graphics of past reviews will build trust with new customers online and inspire previous customers to leave public reviews about their experience. 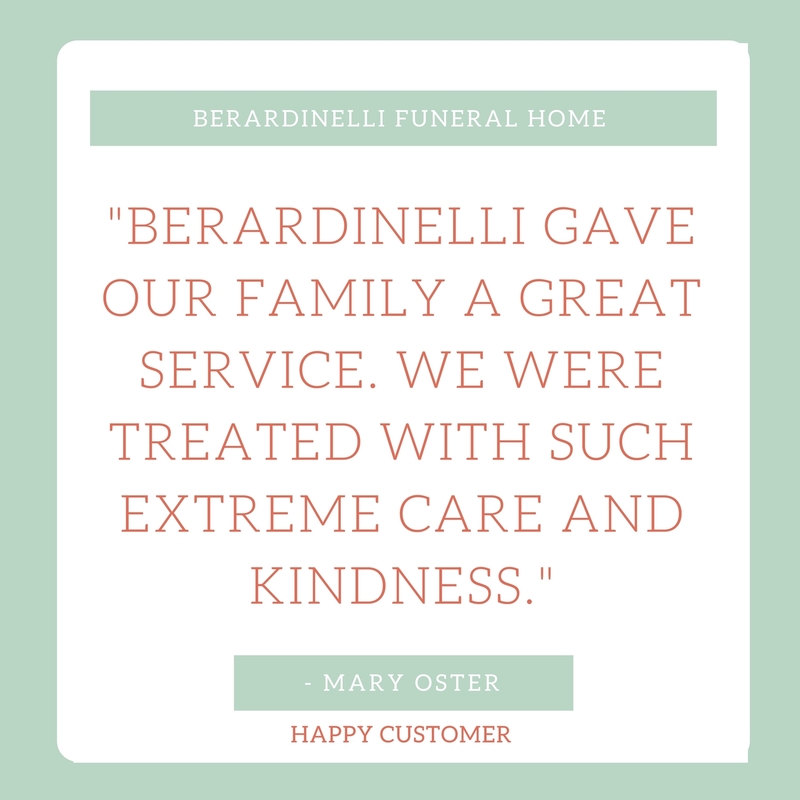 We created the image below for Berardinelli Funeral Home using the free program called Canva.com in less than 10 minutes. This is quick-to-create quality content to share on social media and in online advertising. Live video is one of the newest trends in social media marketing and our DISRUPT Media clients have seen huge results from it. One video got viewed over 50,000 in the immediate town and surrounding communities - invaluable marketing. Our strategy put this new funeral home on the map and helped lay the foundation to generate hundreds of thousands of dollars in pre-need sales. Want to learn how we did it? Sign up for a free demo of our social media marketing services here. Holding free pre-need educational seminars is a step up from blogging free informational content. In fact, it's probably a good idea to promote your free in-person seminars to the people who are reading your free blog content online. I know... this seems like a lot of FREE work you are doing in your funeral home marketing strategy... but it will pay off. You are building an invaluable bond with people in your community. When they decide to plan their own funeral or the funeral of a loved one you will be the choice provider because they already know you by name. The average person plans only two funerals in their lifetime so your funeral home marketing strategy is for the long-term. Funeral homes marketing on social media have a tough problem: How do you engage with people who don't want to think about death? A great way to engage with your community is to promote local causes and get your brand in front of people in your community without ever talking about your services or advertising. The goal is to get your brand top-of-mind in the time of need. 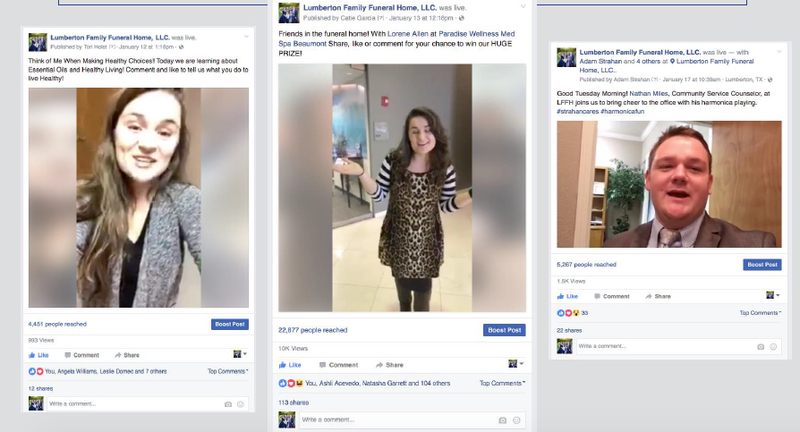 One radically successful strategy we've run with our funeral home marketing clients is the Facebook contest. The idea is simple, find a local cause or common local hero (like a football team) and show your support by giving away something desirable to your community. This could be sporting event tickets, art by a local artist, an Easter basket, or a gift certificate to a local restaurant. With increasing concerns about global warming and the environmental impact of our everyday decisions, we have seen a massive social movement towards sustainable and environmentally friendly products. The ideology has impacted every industry including death care. 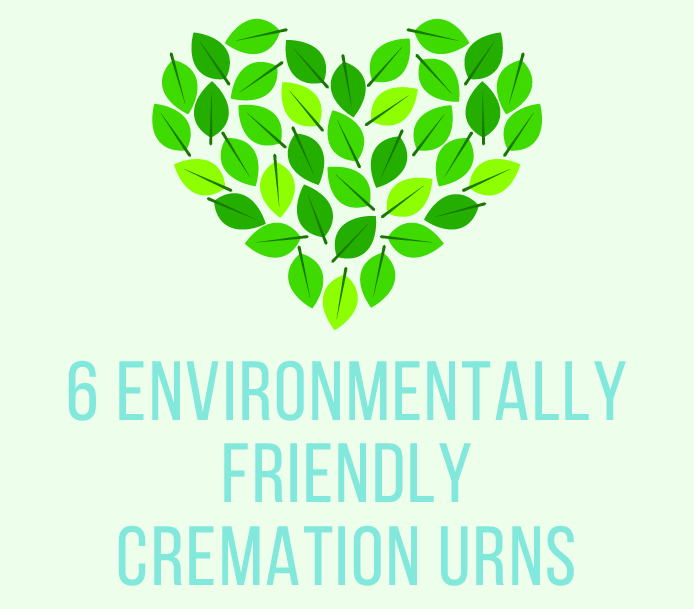 Offering eco-friendly options like natural burial, tree-growing-urns, and wicker caskets is a great way to show your community you care and identify with the modern concerns of your families. We've put together a free ebook highlighting our favorite eco-friendly urns on the market which you can download HERE! An analysis of more than 2,200 American companies found those who attempted to reach leads within an hour were nearly seven times more likely to have meaningful conversations with decision makers than those who waited even sixty minutes. The internet has provided an incredibly useful for you to reach leads fast - on-site chat boxes! These brilliant tools work by displaying a little box on every page of your website saying "Have a question? Chat with us!." When a potential customer sends a message on your site it pops up instantly on your smartphone allowing you to answer leads instantly. This will increase conversions and increase revenue fast. The top tools for chats (ranging in price an features) are Tidio, ZenDesk Chat, Podium, Kayako. There has been increasing buzz about funeral homes adopting and training therapy dogs as members of their team. Therapy dogs have been proven to calm nerves in times of trauma and stress and they can be a beautiful service to provide for grieving families. 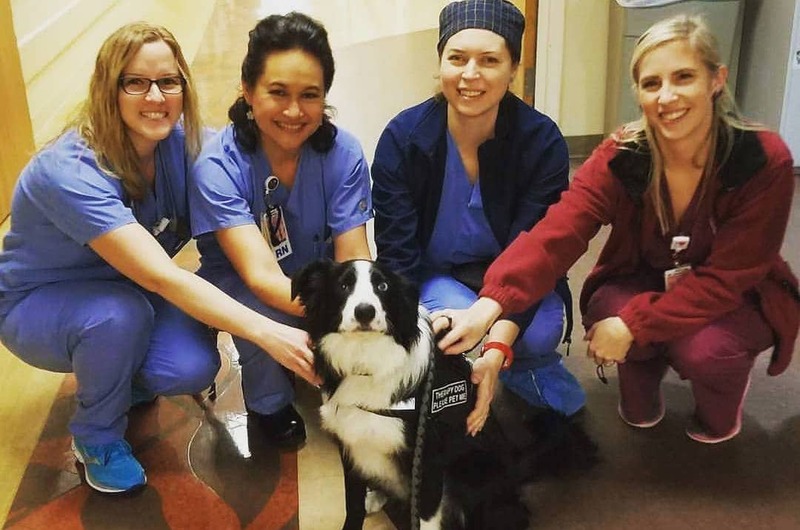 An added benefit to therapy dogs is their ability to get covered by the local and even national news when they help out in tragic times of community mourning. I want to be clear - you do not get a therapy dog for funeral home marketing purposes - you get them to help grieving families. The word-of-mouth marketing is just an added benefit. Learn the important differences between Companion Dogs, Emotional Support Animals (ESA), Therapy Dogs, and Service Dogs in our interview with funeral director Melissa Unfred. At the core of every good digital marketing, practice lies organic social media. The benefits of a regular organic social media are huge and include: forming relationships with clients, growing your market share, becoming a visible brand for people in your community, forming a camaraderie with your audience, and educating families on the value of services before they walk in the door. It also lays the groundwork for a successful paid ad campaign. The biggest challenge of an organic social media strategy is that it takes time. Extra time is something funeral directors don't typically have so passing this task onto your millennial intern might be a good idea, but this can be nerve-racking if they have never professionally managed a business page before and had to deal with public criticism, bad reviews, or the basics of growing an audience. Fortunately, there are many funeral home marketing companies, like our own DISRUPT Media, who have a proven track record of increasing call volume, growing revenue, and increasing your market share using social media like Facebook and Instagram. With DISRUPT media, I have a entire marketing team behind me. From creating custom content, video editing, and custom marketing strategies, I have been able to access our market with exciting results. As a small firm, doing under 100 funerals a year, social media has allowed us to engage with our community like never before. It has opened up local partnerships that have paved the way for us to not only be in front of the consumers eyes, it has allowed us the opportunity to do some amazing charitable work by fundraising for local causes. Crowdfunding is not typically thought of as a marketing tool, but it can help shape the brand of your company and extend the reach of your message. Crowdfunding for funeral homes is relatively new but there are multiple platforms that focus specifically on raising money from friends and family online to cover funeral costs. These are brilliant tools for funeral homes because they have been proven to get you paid faster, get your funeral home name in front of each of the fund contributors, and they can help paint your public brand as the funeral home that helps families. In our FREE 4-week Funeral Home Marketing eCourse we share proven tips for a successful campaign and give you all the tools you need to easily get started using our favorite crowdfunding platform. Sign Up for the eCourse delivered via email here. What funeral home marketing strategies have worked for you? Let us know on Facebook!